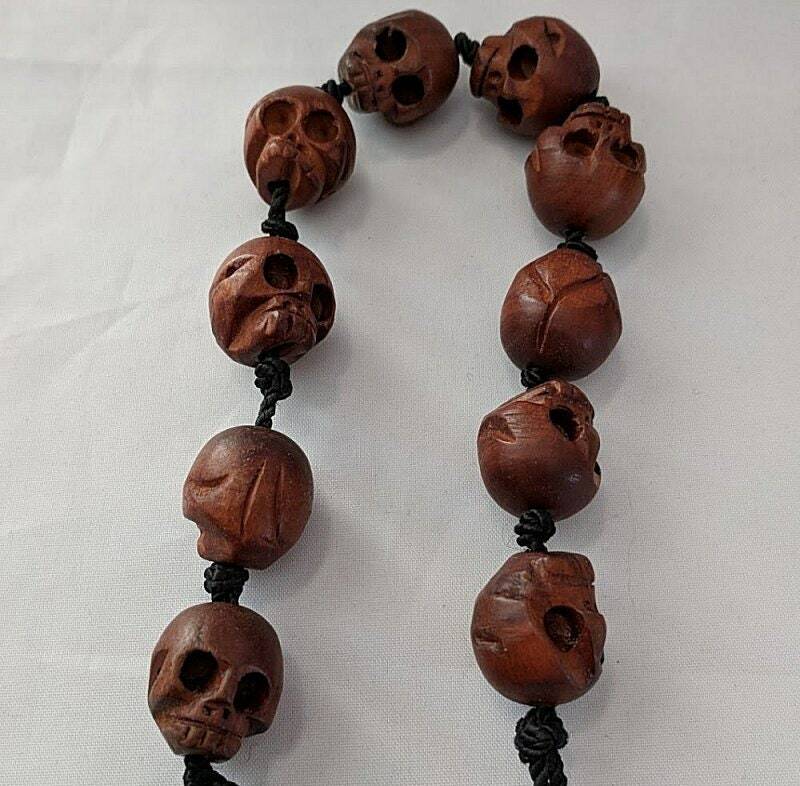 Wooden skull beads (15mm) make up this unique tenner. 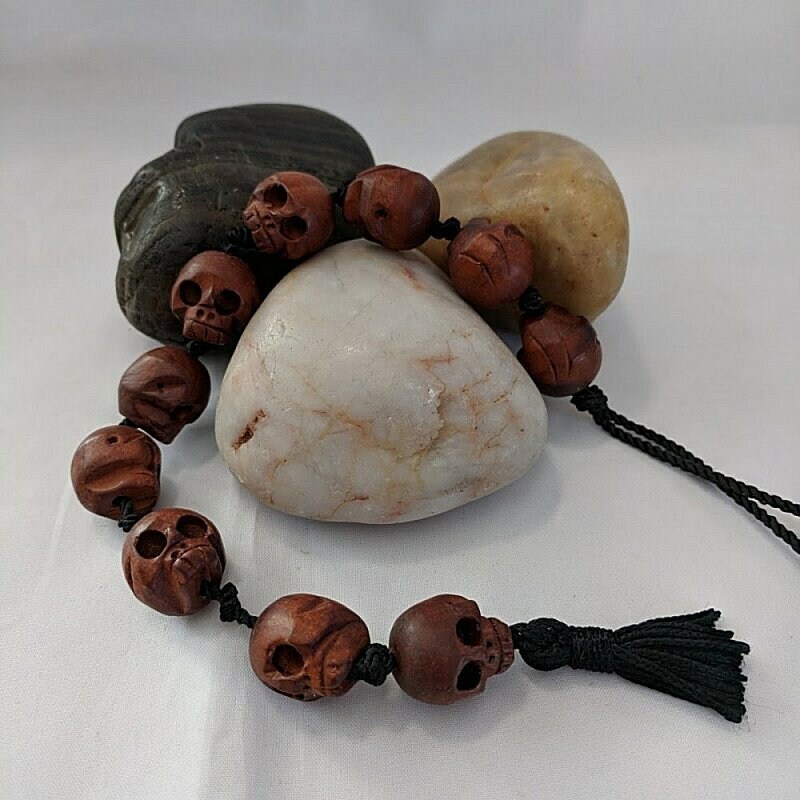 They are connected with a black cord with a knot between each skull. 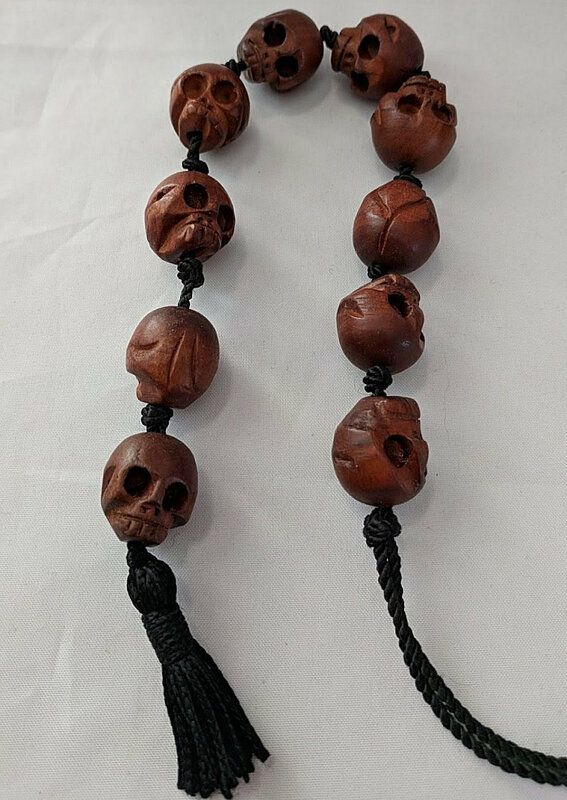 There is a tassel on one end and a hanging cord on the other for attaching to a belt or pouch.